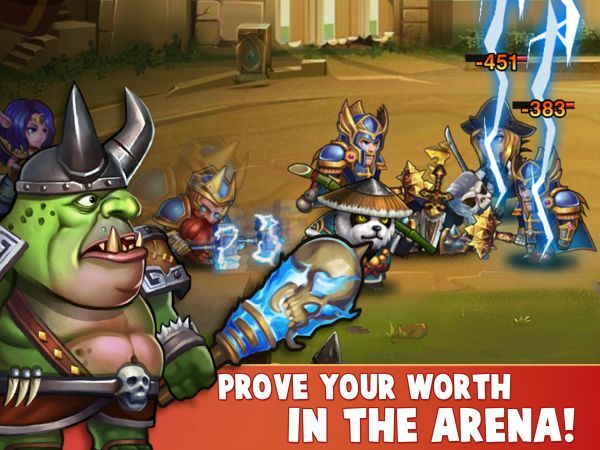 uCool, an independent game developer known for the popular free-to-play online PC game Tynon, today announced that its first mobile title, Heroes Charge, is now available on iOS and Android devices. With over 5 million players and 80 thousand player reviews earning it 4.5 stars, Heroes Charge is quickly becoming the #1 Hit Mobile Game. An RPG multiplayer online battle arena (MOBA) hybrid, Heroes Charge lets players collect and train over 50 unique heroes, in an ever-expanding roster, while battling through the game’s universe. As players progress through the challenging campaign, they are able to customize their experience by collecting hero equipment sets, enchanting weapons and armor and enhancing their party’s abilities. The game’s numerous modes include Arena, Campaign, Trials, Crusade and Guild Campaign. Heroes, which include male and female humans, mythical creatures and animals, are distinctively presented with artistic card renders showing their appearances and motifs. The game’s focus is three-tier semi-automated battle sequences in which the hero party takes on enemies. Each hero features a custom theme with unique powers to battle enemies in which players can engage for hours in solo, PvP or guild battles.